Restocking giant clams requires patience and lots of nurturing. 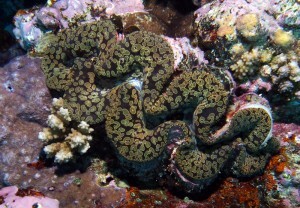 The overall process can take as long as 3 years to grow a giant clam that is able to be sold to the aquaria trade and even longer for meat production. 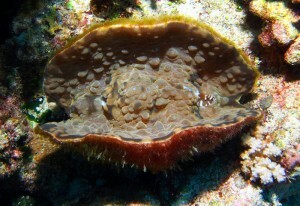 The process of restocking giant clams first begins at a land-based facility where a broodstock or group of mature individuals is used in aquaculture for breeding purposes. Giant clams are protandric hermaphrodites, which means that they begin life as males. After 2-3 years, they develop female gonads. The tricky step is how to induce reproduction. Several methods have been tested, but the most common technique is to use heat stress. Once the giant clams are stressed, they will first release sperm and secondarily release eggs. Each are collected separately. To increase genetic diversity, the sperm and eggs of several giant clams are mixed individually. Once fertilization occurs, it only takes 12 hours for larvae to hatch. They are collected and placed in a larval rearing tank. During the next 10-14 days, they are fed microalgae and water parameters including temperature, salinity, and pH are closely monitored. Around the fourth day, the larvae are also fed zooxanthellae extract. This seeds the clams with the zooxanthellae that provide a large amount of the nutrients it needs to survive. After this time period, the larvae will metamorphosis and settle on a substrate. They are placed in a settlement tank where they will spend anywhere from 6-8 months until they reach their juvenile stage. When they are around 15 millimeters, they are transplanted to an open-water nursery. They are housed in a cage, so that predators such as snails, octopi, and triggerfish can’t eat them. It can take two more years for the giant clam to be large enough to sell to the aquaria trade or to reintroduce to a coral reef. 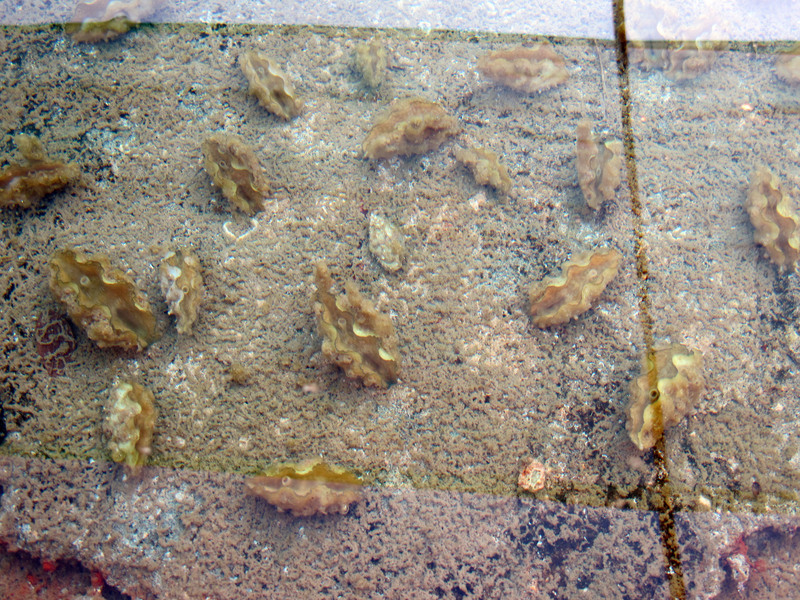 Restocking Giant Clams: Giant clam hatchery in Makogai, Fiji. Restocking giant clams to Fiji’s reefs is a tedious and time consuming process. 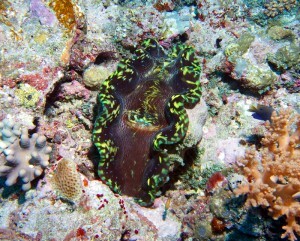 With persistence and time, hopefully Fiji will be able to repopulate their reefs once again with giant clams.